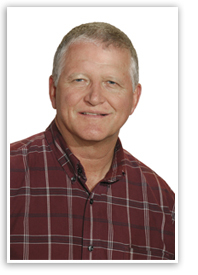 During Skip’s 30+ years of experience in electrical construction he has gained a vast knowledge of the industry. Beginning in 1979, he worked his way up from a helper in residential construction to his current position as Vice President of Bright Future Electric. Over the years his electrical construction projects have involved numerous industries such as educational buildings, retail spaces, office buildings, shopping centers, healthcare jobs, industrial and manufacturing facilities. His clientele have included Hoar Construction, Brasfield & Gorrie, Duke Construction and Williams Construction. He has also acquired an excellent background in estimating, purchasing, scheduling, design and management while personally being involved with architects, engineers, owners and inspectors.